Old: 8.0 on Pixel XL. New: 8.0 on Pixel 2 XL and 8.1 on all compatible phones. 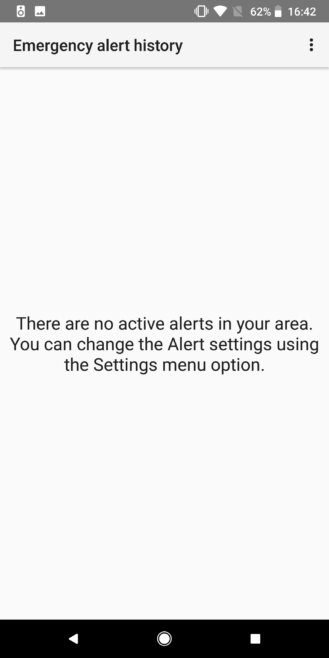 You'll find the menu in Settings > Apps & notifications > Advanced > Emergency Alerts. 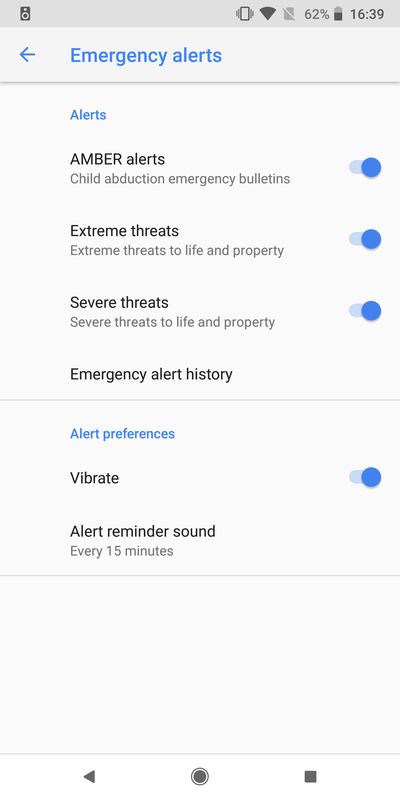 In Android 8.0 Oreo, the title was 'Mobile broadcast settings' and it looked as it did below (left). In the Pixel 2s on 8.0 and now any device running 8.1, the title has been changed to 'Emergency alerts' and the order of the toggles has been changed. 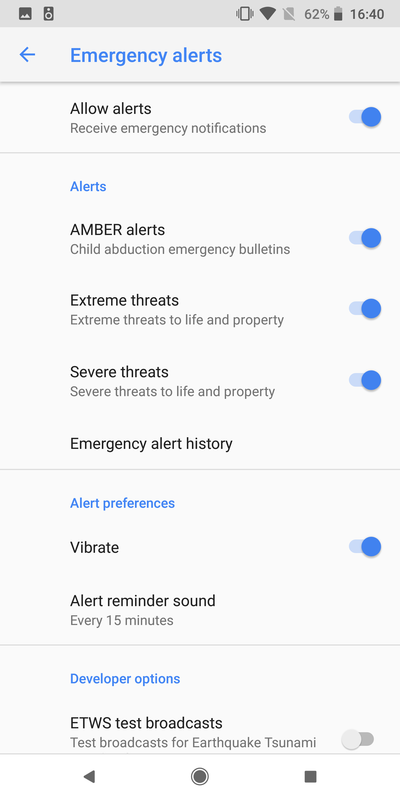 More importantly, there's also a new option to view 'Emergency alert history,' which is a welcome addition. 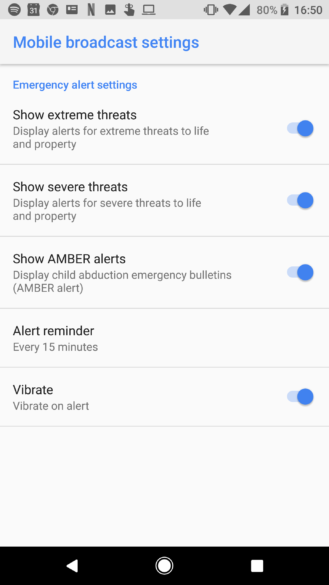 Left: Emergency alerts history screen. Right: Menu with dev options turned on. The screen is blank right now, as there hasn't been an alert yet (above left), but you get the idea. It's also worth noting that if you want to disable alerts entirely, that's only possible with developer options switched on (above right), just as it was in 8.0 and before. There are also some further options down below for developers to play with.